Here in San Diego the sands are nice, the air is clean, and most of the time life is pretty darn good! Whether you’re here for business or pleasure it can seem like paradise until car trouble strikes and leaves you feeling less than fantastic. At San Diego Towing we’ve seen it all, and we take pride in what we can do to help keep the residents of this community and our guests on the go and feeling fine! It’s our personal mission to be the best service company in the area, and that means bringing you the best service you will find anywhere. If you’re suffering from car lockout, a dead battery or you’ve run out of gas, there’s nothing better than knowing you’ve got an entire team of professionals ready to help you at any time! San Diego Towing isn’t your average towing company, we’re professionals. Our team is made up of experienced and highly trained individuals. We take what we do seriously. 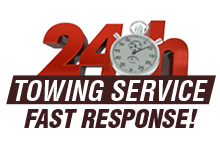 Our 24-hour service isn’t a joke, we’re as committed at 2 AM as we are at noon. We’ll do our very best to make sure you get the exact help you need. 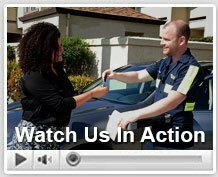 Though many people believe they don’t need help in all roadside situations you’ll find a call to us is faster and better than any amount of time spent struggling on your own to fix a flat or unlock your locked car. State Certified: Our company has received full certification and licensing from the state to make us a viable and verified option for your roadside assistance needs. BBB: We’re happy to be part of the better business bureau and we consider every job an opportunity to continue to earn our membership. Insured: Each and every technician’s work is insured so that you are protected, we are protected and the work we do is guaranteed to satisfy. Immediate Response: 24 hours a day, 7 days a week, 365 days a year, this is our commitment, we’re here for you and we’ll respond the minute your call comes in. We know that when you’re in trouble you can’t wait around to get back on the road. You’ll never be stranded with us in your phone. Honest Pricing: We’ll break it down for you, let you know exactly what things cost. No hidden fees, just an open and honest pricing policy so that your stress filled moment can be as easy as possible to handle. As you drive in San Diego there are plenty of troubles to run you aground. Busy days cause absent-mindedness, which in turn causes lost car keys and car lockouts. Running out of gas in the middle of a busy day. Flat tires and dead batteries that require assistance to remedy. In any of these situations, whether its you or your loved ones who need help, calling for San Diego Towing is a sure solution. Our response policies are to arrive on the scene and assess the situation. If you’re out of gas it’s easy enough to help fill your tank and make sure you can drive away. If you’ve got a flat tire we can fix or replace the old tire quickly with the right tools and experience helping out. Lost car keys can be easily replaced as we can cut new keys on the spot. We can also unlock doors if you’ve locked yourself out of the car. Don’t let car troubles cloud your sunny day here in San Diego. With San Diego Towing around help is never too far away.